I believe it is Neoscona crucifera or Hentz Orb-weaver. I have another picture of it in its huge circular web. This is of the spider eating its dinner. I believe it is Neoscona crucifera (Hentz Orb-weaver). Not sure why that is not showing as I included it when I submitted the photo. Great photo of the spider with prey! Thank you! 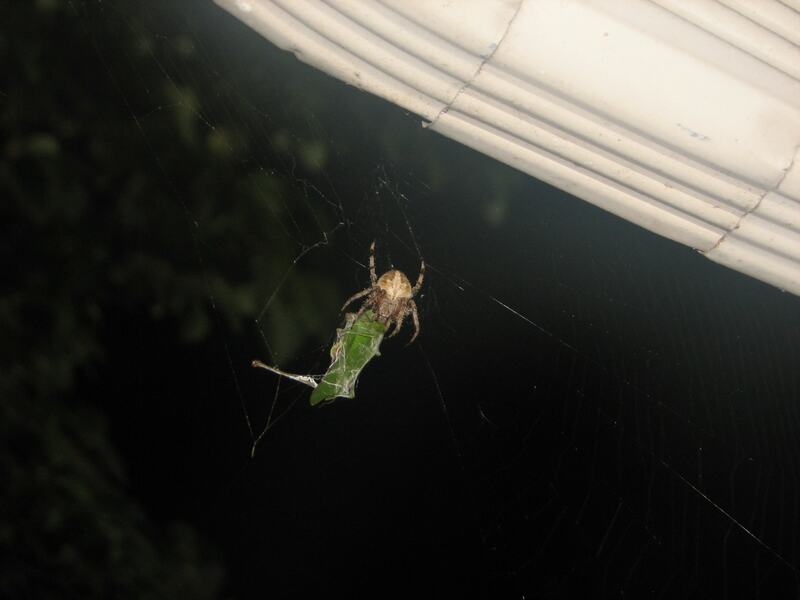 I never saw a spider actually eating–it was really cool!